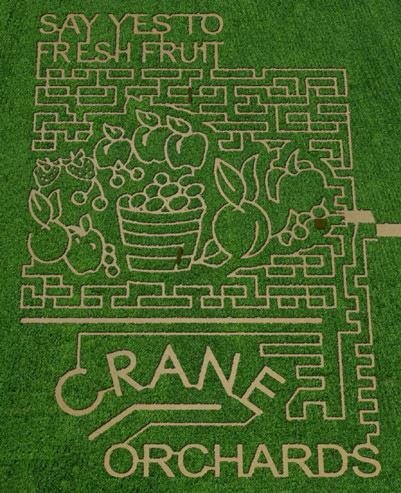 While Crane Orchards haunted maze is no longer active, it does have the 20 acre daytime corn maze open! Compared to our corn maze designs of previous years, this one will have many new and different challenges. For those of you who've tested the maze in previous years, it will be a new challenge and for you new maze visitors, this is a great family fall event. (each year we have a completely new maze design). Also available is the fun cow train and hay rides that take you on a tour of the farm, orchards and woods!